Seasons to be arranged: Available for any season. This tour is not show for tourists. We don't arrange any shows based on shamanism. It is real active and effective ritual acts for local people.Tourists will have only chance to explore the cultural point of that how shamans serve for public people, how they keep the relation with nature and so on... If tourists have interest to meet with shamans or shamans' ancestors for asking fortune telling or for healing or fixing the energy of someone, it is possible to arrange a ritual activity for another day. This travel's date can be fixed just in 20 days before the rituals are held by shamans. Specially advised to pack: Sun glasses and sun hat, binocular, mosquito repellent crème for summer time, your favorite delicacies. 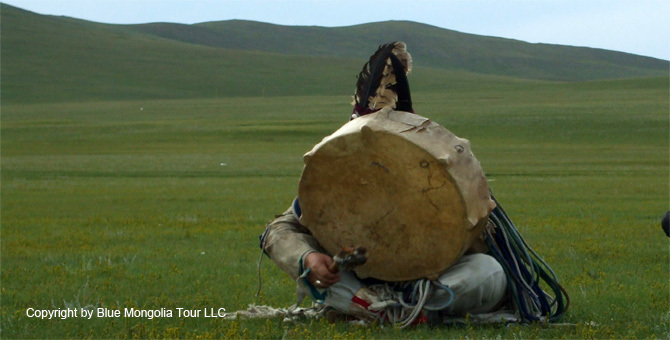 Your tour guide will see you at the lobby of the hotel, Visit to Mongolian National History Museum and Culture Gallery, where are some items related to shamanism. In the gallery you will meet with shaman Mrs.Bolor, who has been a shaman for more than 35 years and she was from khalkha tribe in central part of Mongolia. Shaman lady will introduce herself and start talk about the phylosophy and religion from nomadic civilization, respect to the nature, respect to the blue sky and respect to ancestors. After lunch she will show her clothes and drums and other items, which is used for calling her ongod (holy spirit of ancestors) and explain why the clothes and items have those kinds of hangings and protection metals. 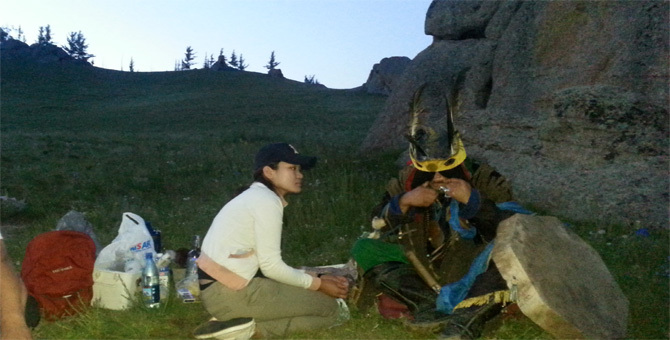 In the afternoon you will drive to outside of Ulaanbaatar -30 km north and you will explore that how shaman lady invites her ongod and do ritual acts for local people: fixing energy of people, rebuilding an aura and healing the soul and mood, protecting from evil thoughts and spirits, calling good health, happiness and success. 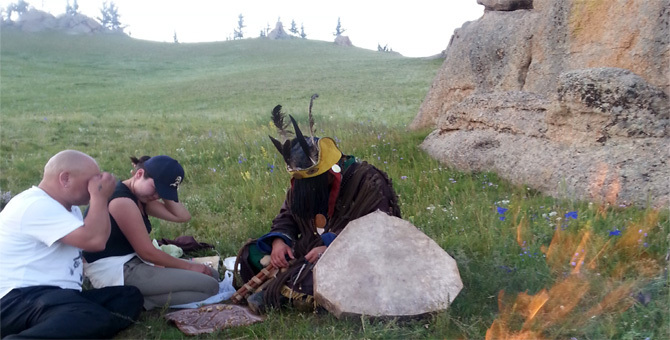 Today you will watch what is shamanism belief and how shaman man helps people. Today she shaman's ongods will not communicate with you and will not not do any ritual ceremony for you. PS: If you want to ask ongods to help you and to serve you some ritual ceremony, you will have another trip. Please, Check 4-7-10 days trips with in this religion category. Transportation service, English speaking tour guide service, Shaman lady's half day explanation service, Lunch charge, Entrance fees to museums and attendance in shaman ritual act, supply of mineral water - 0.5L bottle of water per day, service fees and government tax.